Recently, some superstitious morons decided to reveal that due to the earth’s spin and axis, the relative position of constellations in the night sky changed in comparison to the sun. This is not an unusual phenomenon. In fact, it happens and is happening all the time. As a result, many people were assigned an incorrect zodiacal sign under which they were born. More notably, a 13th sign exists, and is now being included amongst the 12th. The talk regarding this and the entire horoscope makes me feel sick to my stomach. How stupid are we? 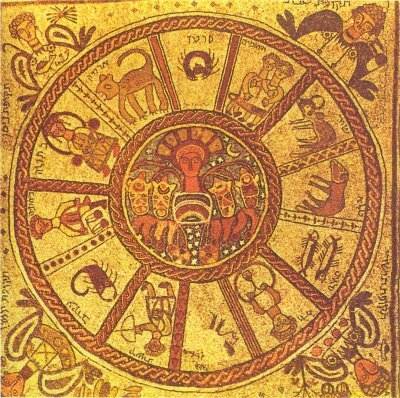 When the Babylonians developed the signs of the Zodiac within their imperial religion, they did so with the belief that the sky was a giant piece of material with holes punched in it to let the light through from the realm of the gods. They believed those constellations actually were markers of divinity. We now know that the stars are, in fact, not holes in fabric. Rather, they are giant spherical masses of nuclear energy radiating so much heat and light that we can see them like flashlights far away despite being lightyears from earth (for those interested, a lightyear is around 6,000,000,000,000 miles and the nearest star to the earth besides the sun is Proxima Centauri which is 4.2421 light years or somewhere around 25 trillion miles away). This means the apparent shapes we see in the sky, though artful and creative, are completely artificial. If one was to go so far as the moon, the constellations might not even be there, or with a little creativity, they might be other shapes with the same stars. My point is this. People read horoscopes based on these artificial, heavenly images all the time. They pay no attention to the social settings out of which the entire practice of reading the stars arose. Millions of people believe these stars have real effect on real people in their daily lives, yet I guarantee you not a single one of them believes the sky is some kind of iron sheet with holes in it. No one believes in the Babylonians deities anymore. So why do we still believe this stuff has real affects on daily life? Obviously, many people could turn this around on me and say, “But ben adam, don’t you believe in G-d? And isn’t G-d just as improbable or superstitious as constellations?” To which I offer this response: Look around you! A rock weighing 5.9736×1024kg is hurtling through space at a thousand miles and hour around a star thousands of times bigger at a distance properly aligned for the temperate climate necessary for carbon-based life to arise, and in the meantime, an incredibly small fraction of those carbon-based lifeforms developed the wherewithal to look in the sky and realize they were stuck on a rock during which time they find it necessary to kill, destroy, and try to systematically exterminate one another. I prefer to believe we exist for something greater than all the pain and suffering we cause daily to one another. If nothing exists to imbue us with that purpose, if nothing provided us with intrinsic value when we first became a species, then all the sorrow and even all the joy of humanity is merely the circumstantial patterning of a life-form that happened to develop in the fortunate environment of a planet 90 million miles from a medium-sized star among the billions of stars making up one of the quadrillions of galaxies in the universe. Therefore, the greatest tragedy of genocide, war, murder, and all forms of violence lies in its counter-evolutionary role (unless you want to believe, as I am sure any good capitalist would, those horrible events only weeded out the weak of our population). I refuse to accept such hopelessness. I refuse to accept that our meaning, however, comes to us through belief in a star shape based on a cosmological ideology that is not true at all. Instead, I prefer to place my hope on a deity who chose solidarity with the creation of that deity’s own making. In this gesture of humility on behalf of the creator, we see just how incredibly valuable humans are! Humans are important enough for G-d to become one of us! With this in mind, how could we ever do violence to another person? How could we elevate ourselves over another? Let us quit getting hyped up about how important we are because of what the stars say. Instead, let us remember how important people are based on what G-d says! Gallery | This entry was posted in G-d, Jesus, Orthodoxy, Theology and tagged Constellation, Earth, Jesus, Proxima Centauri, Zodiac. Bookmark the permalink. 3 Responses to How Stupid Are We? Carl Jung believed that astrology was authentic. Of course that is not the astrology of newspapers or of those superstitious individuals who slavishly live their lives according to astrology’s findings. His belief was that everything in the univerise has meaning. He related it to the archetypal reality in us and believed that the position of stars and planets could reveal things about us because everything is related and the planets and their orbits are connected to realities within ourselves. I have had my chart done and I found it to be genuine and accurate and it told me things about myself that were true. However, I don’t live my life following the chart which is impossible. I use it as a tool. Jungians have written books about astrology from an archetypal point of view. The church practiced astrology for hundreds of years after Jesus. I believe the wise men were guided by astrology and that they may have been astrologers. As for God I believe that belief in God is as outlandish as belief in astrology. Sticking with Jung’s archetypes the point is not to believe in the archetypes but to experience the archetypes. The archetypal reality is another name for spirit world. Once experienced the question of belief becomes moot. Jung was asked if he believed in God. He replied, “I don’t believe, I know”. I think that describes the times we are living in. This is not an age of belief; this is an age of knowing. Jesus and Yahweh want to be know. They do not want authorities standing in between us and them. Everything now is direct. I want to add to my comment above. I am of course not saying that just because Jung, Jungians and myself believe that astrology is authentic does mean that it is true. It is just another perspective. I intended to include this with the comment above but I forgot. No, I understand, and I really, really appreciate the comments. Very helpful stuff to add to my thoughts. I simply wanted to point out that the initial conception of the Zodiac derived out of a cosmology that no longer exists. If we think about it that way, our own “Christian” cosmology has also changed. As a result, we must re-imagine our theology. Part of this re-imagination means rejecting the beliefs that require an outdated cosmology. This means eradicating the belief that G-d lives somewhere beyond the sky or that there is a place underground where we go when we die. Another part of this is realizing that I do not think we should predicate the living of our lives on a mythological accounting of a cosmological viewpoint that does not exist, especially when it is such a flimsy mythology that it can be amended simply for the sake of convenience (e.g. the Babylonians always knew there were 13 “symbols” in the sky (symbols they decided were there) but they omitted one simply because they liked 12 better). I just do not ascribe to that, and I think it sounds not as cool as G-d becoming a human.